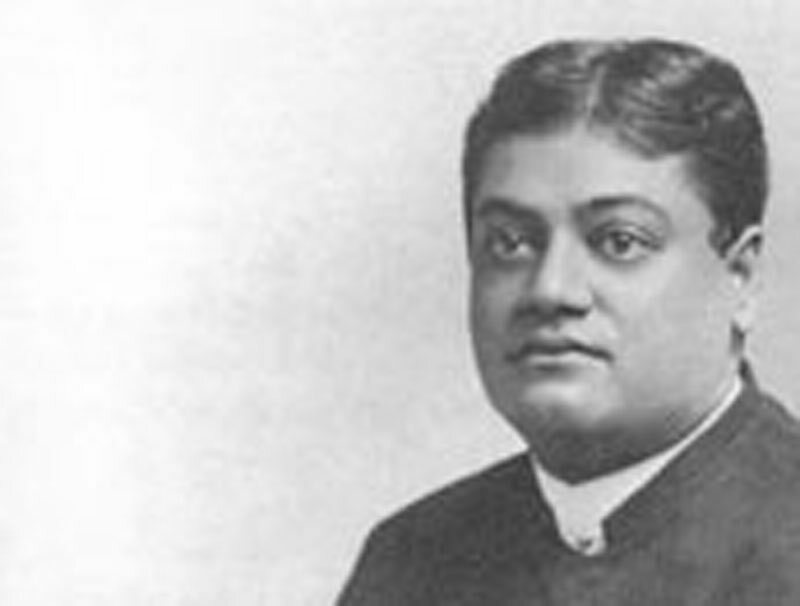 I feel sure you will be glad to have an idea of the progress of the Swami's work in England, as a supplement to the letter which the Swami Saradananda sent you a few weeks ago. At that time a series of Sunday lectures was being arranged, and three of these have now been given. They are held in one of the galleries of the Royal Institute of Painters in water colours, 191 Piccadilly, and have been so far remarkably successful in attaining their object, that of reaching people who, from one reason or another, cannot attend the class talks. The first of the series was "The Necessity of Religion". (Cf. Mr. J. J. Goodwin's published transcript "The Necessity of Religion", Complete Works, II: 57-69.) The Swami claimed that religion is and has been the greatest force in moulding the destinies of the human race. Concerning its origin he said that either of the two theories, (1) Spirit origin, (2) Search after the infinite, will meet the case, and, to his mind, neither contradicts the other, because the search after the departed of the Egyptians and Babylonians, and the attempt to peep behind the veil of the dawn, the evening, the thunderstorm, or other natural phenomena, of the Aryans, can both be included as a search after the super-sensuous, and therefore the unlimited. This unlimited, in the course of time became abstracted, first as a person, then as a presence, and lastly as the essence of all existence. To his mind the dream state is the first suggestion of religious inquiry, and inasmuch as the awakened state has always been, and always will be accompanied by the dream state, a suggestion of existence finer than that of the awakened state yet vanishing during it, the human mind will always be predisposed in favour of spiritual existence and a future life. It is in our dream-state that we really find, in a sense, our immortality. Later on, as dreams are found to be only milder manifestations of the awakened state, the search for still deeper planes of the mind begin[s], the super-conscious state of the mind. All religions claim to be founded on facts discovered in this state. The two important points to consider in this connection are, that all facts discovered in this way are, in the highest sense, abstractions, and secondly, that there is a constant struggle in the race to come up to this ideal, and everything which thwarts our progress towards that we feel as a limitation. This struggle soon ends in the discovery that to find infinite happiness, or power, or knowledge, or any other infinity, through the senses, is impossible, and then the struggle for other channels of expansion begins, and we find the necessity of religion. The second lecture was upon the subject "A Universal Religion", (No verbatim transcript available.) when the Swami gave, in substance, the lecture which most of your readers have seen in print as it was delivered in New York. As this lecture may be termed the Swami's "plan of campaign" we always await its delivery with very great interest, and it is most encouraging to note that the impression made here in London was equally as good as was the case when the lecture was delivered in the Hardman Hall, New York. The third of the series brought us up to Sunday last, June 21st, when "The Real and the Apparent Man" (Cf. Mr. J. J. Goodwin's published transcript "The Real Nature of Man", Complete Works, II: 70-87.) was the subject under discussion. In this the Swami, link by link, glanced over the thread of thought which has gradually advanced from the consideration of men as separate entities from God and the rest of the universe, up to the point at which we concede the impossibility of more than one Infinity, and the necessary consequence that which we now regard as men, as animals, as the universe of matter, cannot be the real unity; that the real must be something which is indivisible, and unchangeable; and when reason forces us to the conclusion that this phenomenal world can only be an illusion, through which we, as entities in the illusion, have to pass to discover our real nature, "That which exists is one; sages call it variously". But the Swami did not stop with the theory; he showed what would be the practical effect of such a theory, the gradual elimination from society of class distinctions, and distinctions between man and man, by greater unselfishness in the matters of money and power. Answering the objection that such a religion means loss of individuality, he argued that that which is changeful cannot be the real individuality, and that the gradual discovery of the reality behind us would mean the assumption of individuality and not its destruction. The three lectures thus given have been so favorably received, and there have been so many wishes expressed for their continuation that three further lectures are to be given. . .